For horses requiring extra calories and horses with carbohydrate sensitivities. Soybean Hulls, Dried Beet Pulp, Flaxseed, Soybean Meal, Corn Distillers Dried Grains with Solubles, Dehydrated Alfalfa Meal, Wheat Middlings, Calcium Carbonate, Monocalcium Phosphate, Dicalcium Phosphate, Vegetable Oil, Yeast Culture, Lignin Sulfonate, Salt, DL-Methionine, Vitamin A Acetate, Vitamin D3 Supplement, Vitamin E Supplement, Riboflavin Supplement, Niacin Supplement, Thiamine Mononitrate, Calcium Pantothenate, Vitamin B12 Supplement, Biotin, Folic Acid, Choline Chloride, Pyridoxine Hydrochloride, Magnesium Oxide, Zinc Amino Acid Complex, Copper Amino Acid Complex, Manganese Amino Acid Complex, Cobalt Glucoheptontate, Calcium Iodate, Manganese Sulfate, Copper Sulfate, Zinc Sulfate, Sodium Selenite, Natural & Artificial Flavors, Rosemary Extract, Natural Mixed Tocopherols and Citric Acid (preservatives). For horses requiring extra calories, feed Stabul 1 Plus at the rate of 0.5 to 2.0 pounds per 100 pounds body weight depending on horse age, condition, performance level, and reproductive status along with good quality roughage. Provide fresh clean water, and salt free-choice. For horses with carbohydrate sensitivities, feed Stabul 1 Plus along with good quality roughage with low dietary starch, sugar and fructans. 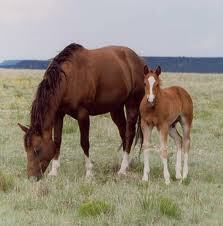 Consult a professional nutritionist or a veterinarian for a recommended feeding program. It is recommended that feed changes be made gradually. Stabul 1 Plus has less than 10% dietary starch and sugars (ethanol soluble sugars) as analyzed by Equi-analytical, Ithaca, NY.